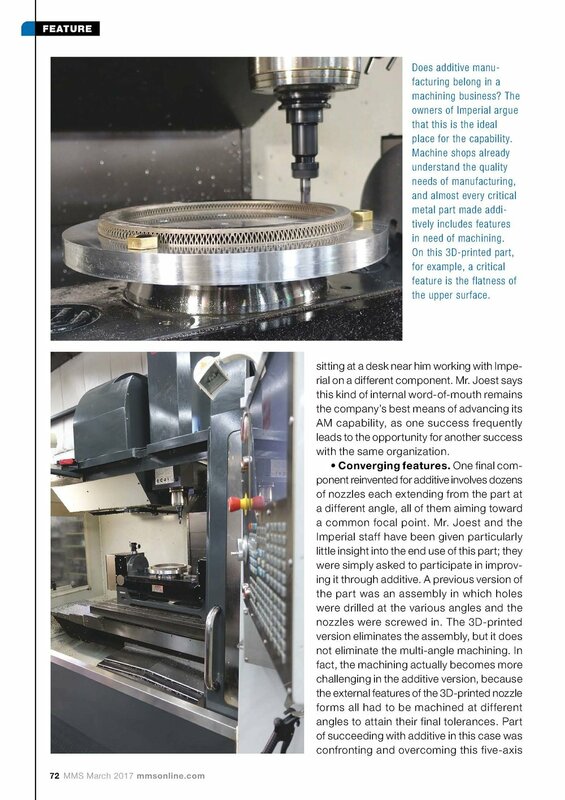 We're extremely proud to make the cover of Modern Machine Shop magazine. We wouldn't be there without the hard work of our entire team, and the support of our customers. In addition to the hybrid manufacturing cover photo, the March 2017 issue highlights Imperial in an editorial by Peter Zelinski, as well as an 8 page feature article. You can download the entire digital issue here, we've shared the Imperial related excerpts below. Thanks to all of you who help make us successful. Newer PostImperial Featured in 1st Episode of Business Builders Show on the New C-Suite TV Network!